We offer all of the parts you need for the control panel of your engine. 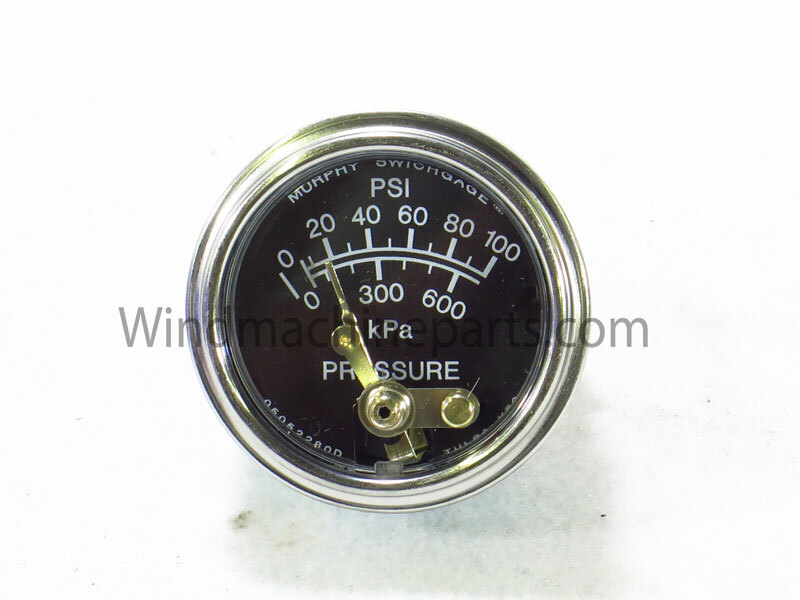 Gauges and switches for Amarillo, Chinook, Crop Saver, Orchard-Rite, and Tropic Breeze wind machines. If you need a toggle-, pull-, or twist-style switch on your control panel, give us a call. Oil pressure gauges available in switching and non-switching depending on your application. Give us a call and we can determine which gauge is correct for your engine. Temperature gauges available in switching and non-switching depending on your application. Give us a call and we can determine which gauge is correct for your engine. We carry Murphy 117 switches for Amarillo, Chinook, Crop Saver, Orchard-Rite, and Tropic Breeze wind machines. This part provides protection for your engine against overheating and loss of oil pressure. Old and warn out switches need to be changed out if they begin to malfunction.